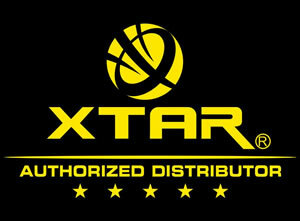 UK-Bright-Ideas Ltd trading as Xtar Direct UK are proud to match or exceed the full extent of Xtars® warranty. Note that Xtar Direct UK is not the manufacturer of Xtar® products, Xtar Direct UK is an authorized Xtar® distributor for the UK. For Xtar Direct UK customers piece of mind Xtar Direct UK will extend the standard “Any reason return” warranty from 15 days to 30 days after purchase. The customer can choose to be refunded, have a like for like replacement or have the product replaced with something different, the customer will pay for any difference in price should they want a product that is of higher value or Xtar Direct UK will refund the difference if the customer wants lower value product. Our aim is to be as flexible as possible for the customer, so talk to us if you have any reasonable requests and we will be delighted to try and accommodate you. Xtar Direct UK must be notified of an intended return before 30 days after purchase, the product must be delivered back to Xtar Direct UK before 45 days has passed from the date of purchase. Please note, you can return for ANY reason (apart from the exceptions listed at the bottom of this section), examples would include, wrong type ordered, you don’t like the look of it, you changed your mind or you ordered the wrong size battery. The buyer is responsible for the return postage cost unless it is a manufacturing defect, if a manufacturing defect Xtar Direct UK will refund the return postage costs of up to £5.00 and recommend which service to use. The product must be returned in new condition and should not have been used unless it is a manufacturing defect. Xtar® warranty card along with your order number must be returned with the product. The product has been used outside of its recommended parameters, this includes batteries that have been overdischarged by the user. Dead on arrival batteries must be reported within 15 days of purchase. The phrase “Any reason return” is not an Xtar® phrase. Xtar Direct UK use this phrase to easily distinguish the first 30 days of the warranty from the rest of the warranty. Xtar Direct UK do not offer warranty to Xtar® products purchased from other retailers. You must contact the retailer you bought the product from for any warranty claims. The repair and replace warranty will be in effect for 2 years / 24 months from date of purchase. If the Xtar® product develops a manufacturing defect inside 24 months of purchase, the customer can send the product back to Xtar Direct UK, Xtar Direct UK will repair the product using Xtar® parts, or replace the product for a new one. If the product has been discontinued then Xtar Direct UK will replace the product with a suitable replacement that is either of equal or higher performance than the original product. The product must be returned and received by Xtar Direct UK before the end 24 months from date of purchase. Xtar Direct UK along with Xtar® offer a limited life time warranty if problems develop after 24 months. If a problem develops after 24 months the customer can return the product to Xtar Direct UK for potential repair, if Xtar Direct UK can repair the product at Xtar Direct UK then we will charge for parts and not labor. The customer is responsible for paying return postage. If the product is deemed un-repairable by Xtar Direct UK then the customer can have the product shipped to Xtar® for repair, Xtar® will charge for parts. The customer is responsible for paying the shipping to China should they choose to do so. Batteries are not included in “Repair or replace” or “Limited life time” warranty. Batteries are included in the “Any reason return” part of the warranty. But dead on arrival batteries need to be reported within 15 days of purchase. Any problems with batteries after the 30 day period then please contact Xtar Direct UK Ltd for advice. Xtar direct Ltd will analyze your battery using professional battery analysis machinery to see what may of happened, if its deemed the battery failed prematurely and it didnt fail due to external factor that include but aren’t exclusive to, deep discharges (over discharge), over current drain maximums using a low quality charger, badly handled or being used in faulty devices. Then Xtar Direct UK reserve the right to use its discretion on a case by case basis and possibly replace the batteries outside of warranty. But we are here to help and are always delighted to be able to serve our customers after we’ve made a sale. You should never fear asking us about your batteries before or after your purchase. If you need advice on the most suitable batteries for your intended needs and budget then again we are delighted to be able to help you – we take pride in our friendly and knowledgeable customer service. To return your product it must meet the criteria of one or more of the warrant criteria set out above. To return your product you must notify Xtar Direct UK before returning the product so Xtar Direct UK know to expect it and to communicate with the customer on the course of action to take. Xtar Direct UK will recommend a tracked service to use depending on the size and weight of the product. The Name address of the customer must be clearly written on a note inside the package with the original order number. For chargers and Torches the warranty card must be present.